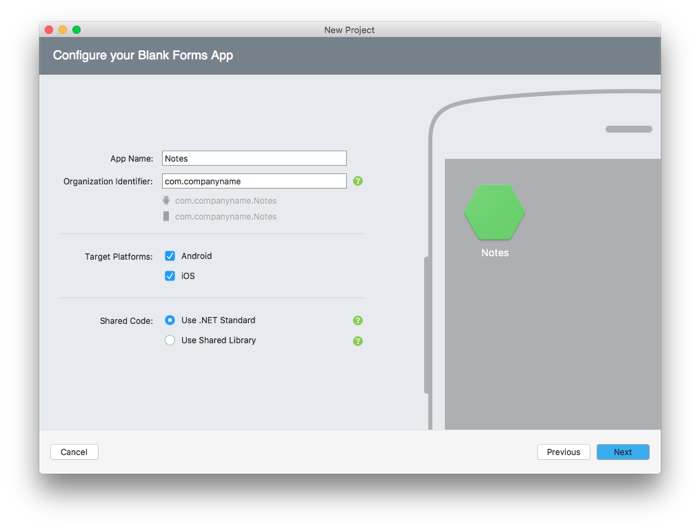 Create a cross-platform Xamarin.Forms application. 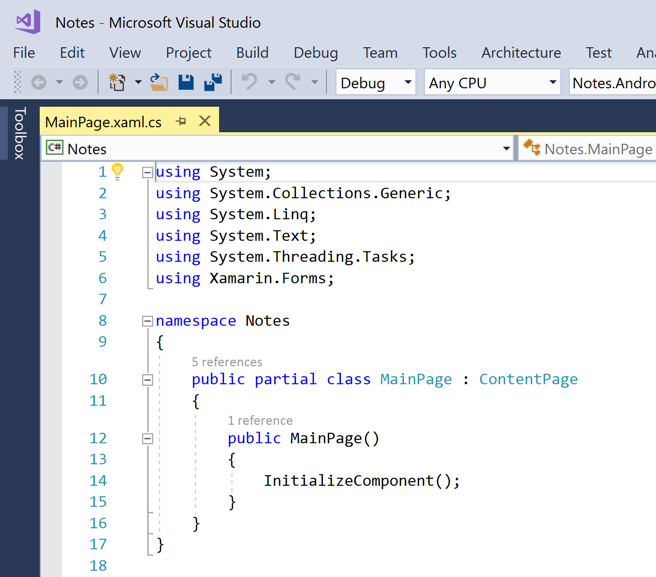 Define the user interface for a page using eXtensible Application Markup Language (XAML). 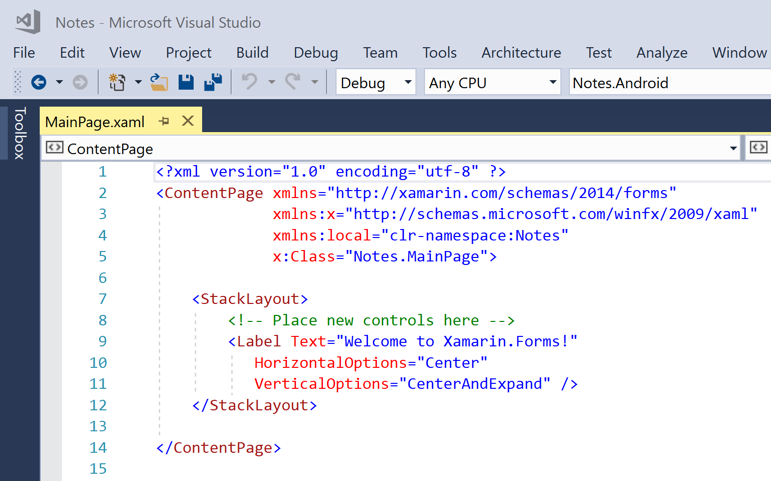 Interact with XAML user interface elements from code. 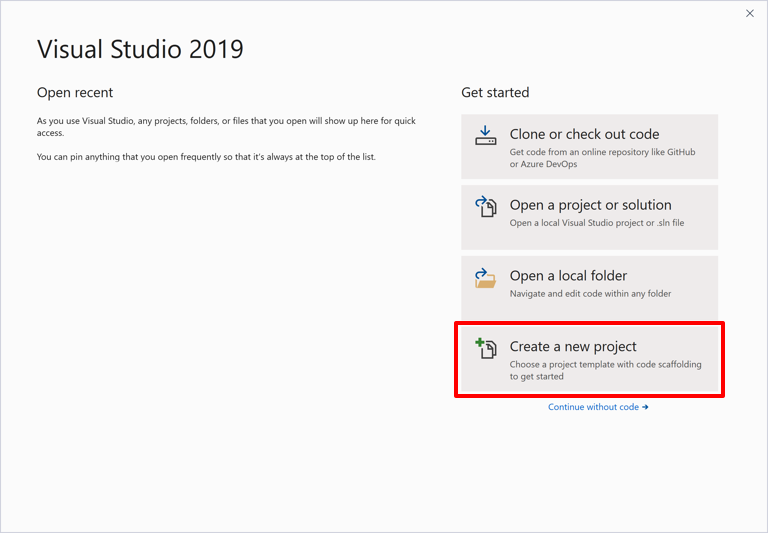 Visual Studio 2019 (latest release), with the Mobile development with .NET workload installed. 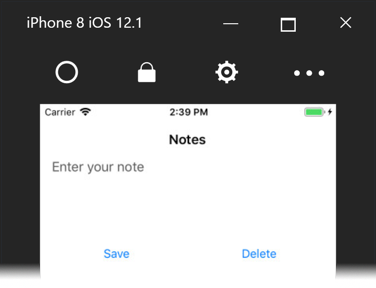 (optional) A paired Mac to build the application on iOS. For more information about these prerequisites, see Installing Xamarin. 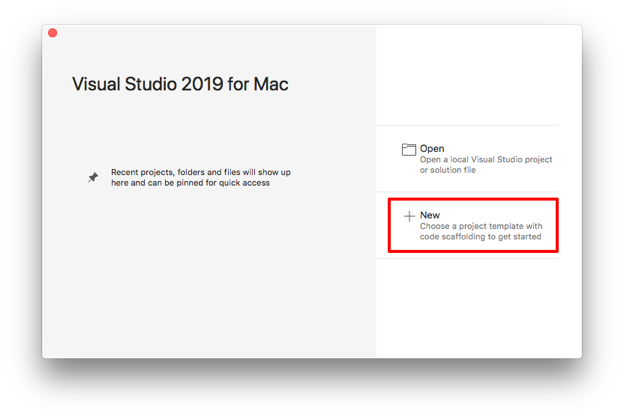 For information about connecting Visual Studio 2019 to a Mac build host, see Pair to Mac for Xamarin.iOS development. 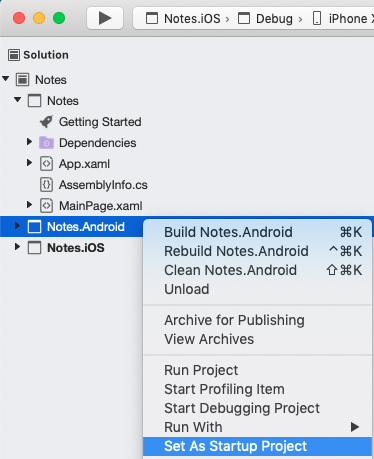 The C# and XAML snippets in this quickstart requires that the solution is named Notes. Using a different name will result in build errors when you copy code from this quickstart into the solution. 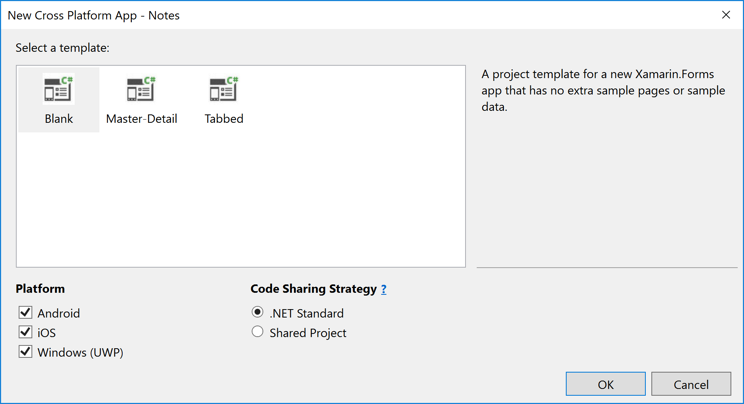 For more information about the .NET Standard library that gets created, see Anatomy of a Xamarin.Forms application in the Xamarin.Forms Quickstart Deep Dive. This code declaratively defines the user interface for the page, which consists of a Label to display text, an Editor for text input, and two Button instances that direct the application to save or delete a file. The two Button instances are horizontally laid out in a Grid, with the Label, Editor, and Grid being vertically laid out in a StackLayout. 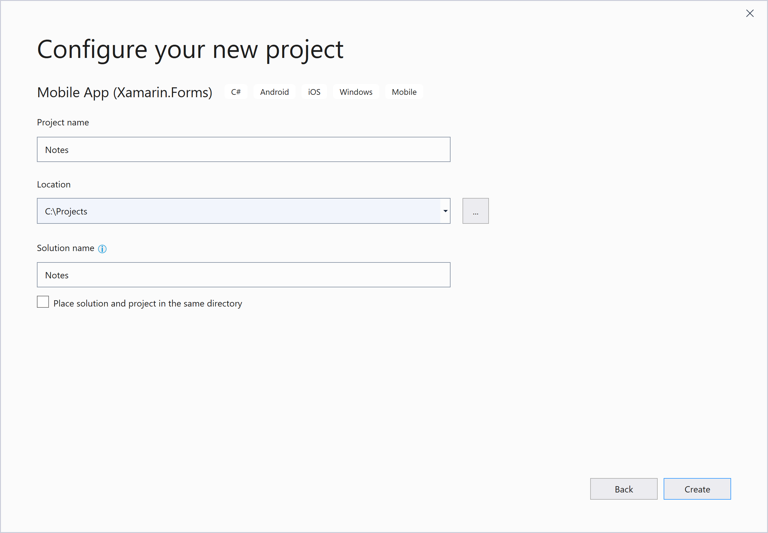 For more information about creating the user interface, see User interface in the Xamarin.Forms Quickstart Deep Dive. Save the changes to MainPage.xaml by pressing CTRL+S, and close the file. 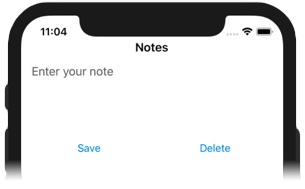 This code defines a _fileName field, which references a file named notes.txt that will store note data in the local application data folder for the application. When the page constructor is executed the file is read, if it exists, and displayed in the Editor. When the Save Button is pressed the OnSaveButtonClicked event handler is executed, which saves the content of the Editor to the file. When the Delete Button is pressed the OnDeleteButtonClicked event handler is executed, which deletes the file, provided that it exists, and removes any text from the Editor. 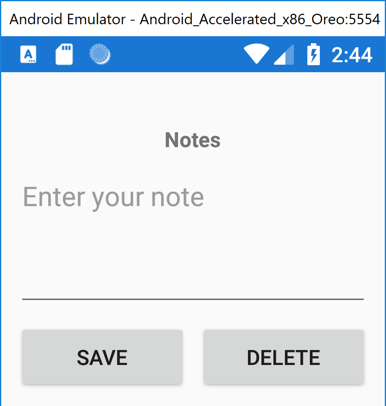 For more information about user interaction, see Responding to user interaction in the Xamarin.Forms Quickstart Deep Dive. Save the changes to MainPage.xaml.cs by pressing CTRL+S, and close the file. If there are errors, repeat the previous steps and correct any mistakes until the solution builds successfully. 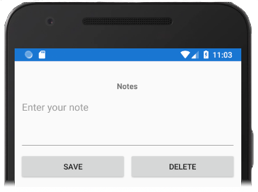 Enter a note and press the Save button. 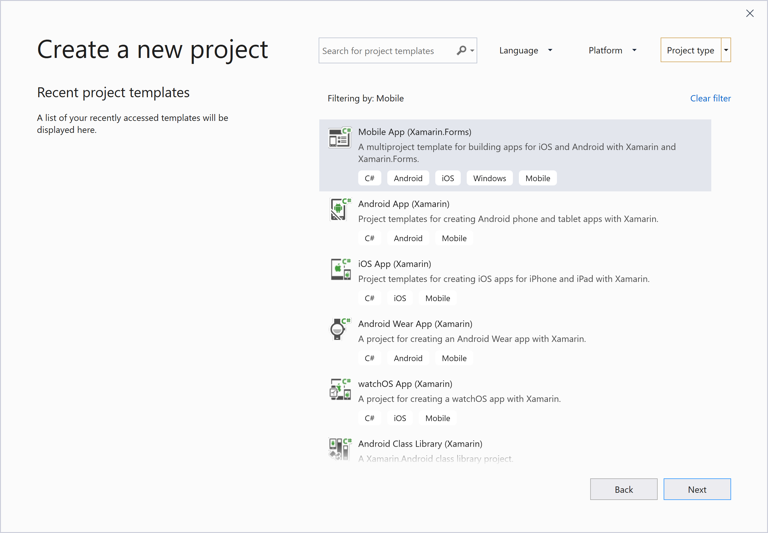 For more information about how the application is launched on each platform, see Launching the application on each platform in the Xamarin.Forms Quickstart Deep Dive. 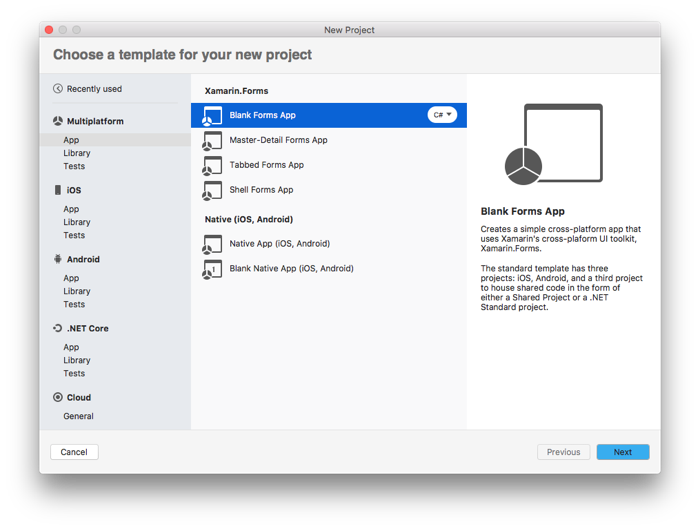 The following steps should only be carried out if you have a paired Mac that meets the system requirements for Xamarin.Forms development. 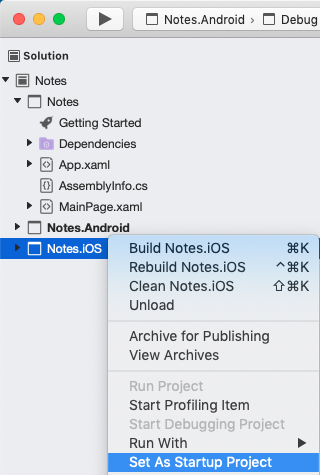 In the Visual Studio toolbar, right-click on the Notes.iOS project, and select Set as StartUp Project. 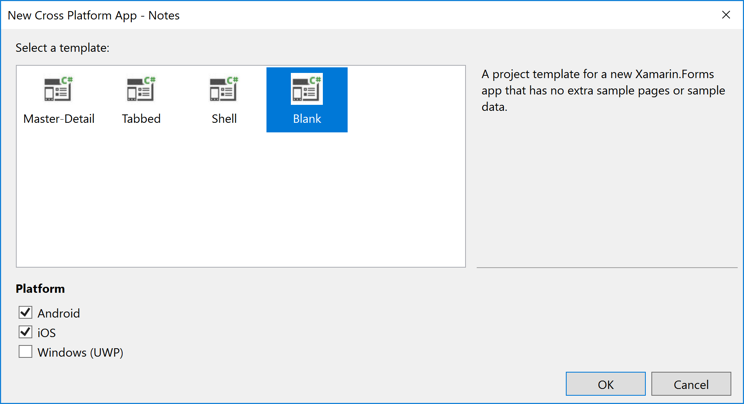 Visual Studio 2017, with the Mobile development with .NET workload installed. 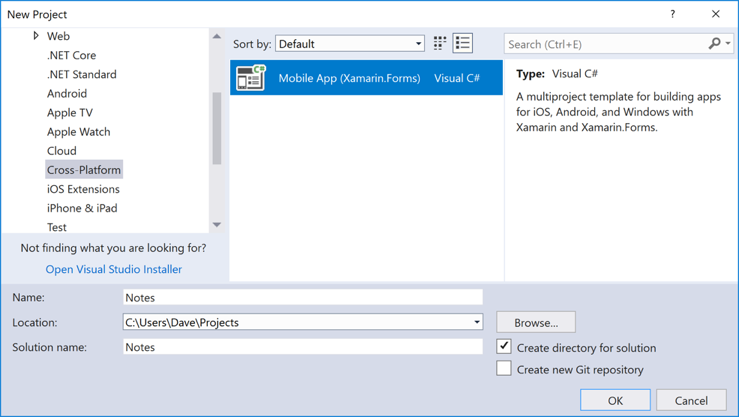 Visual Studio for Mac (latest release), with iOS and Android platform support installed. For more information about these prerequisites, see Installing Xamarin. 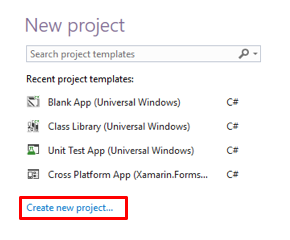 The C# and XAML snippets in this quickstart requires that the solution and project are both named Notes. Using a different name will result in build errors when you copy code from this quickstart into the project. Save the changes to MainPage.xaml by choosing File > Save (or by pressing ⌘ + S), and close the file. Save the changes to MainPage.xaml.cs by choosing File > Save (or by pressing ⌘ + S), and close the file. 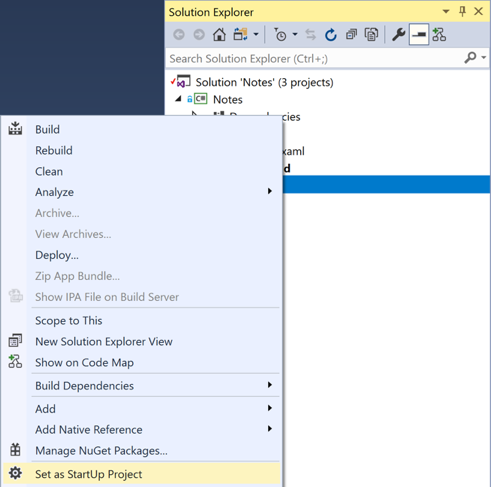 In Visual Studio for Mac, select the Build > Build All menu item (or press ⌘ + B). 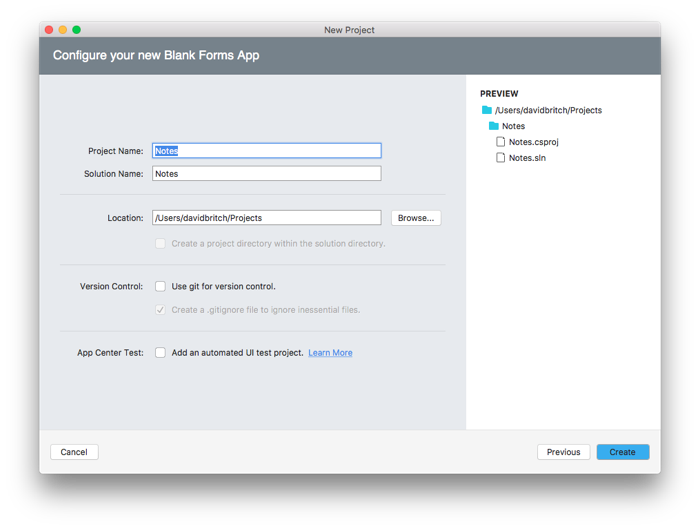 The projects will build and a success message will appear in the Visual Studio for Mac toolbar. If there are errors, repeat the previous steps and correct any mistakes until the projects build successfully. To turn this single page application into a multi-page application, continue to the next quickstart.